​At Trinity we have always done something fun for New Year’s Eve. For a long time we played Laser Tag, then we had some EPIC Rock’n Bowl Competitions, Back to Laser Taging, and last year we had the Gaga Tournament of all Gaga Tournaments. This year we are hosting a Family Game night! All Families are invited! So, bring your friends, good food, and your game face! 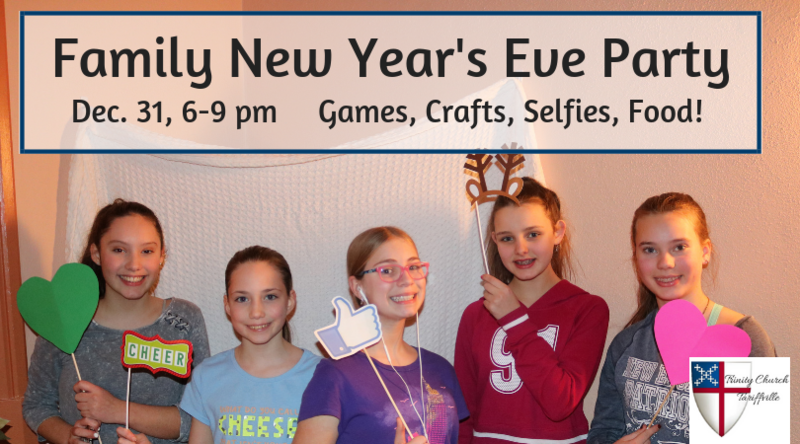 From 6-9 pm on New Year’s Eve we are going to have a Gaga Pit for those into the more active games, Giant Jenga, Twister, Crafts, Board Games, All of it! It is going to be a Blast!! And even better, it is for the whole family!! (and you can still get home and be in bed before the ball drops!!) Sign up in the Foyer to bring food for the potluck, to let us know if you are coming, and don’t forget to bring a friend! Makers Club is THIS FRIDAY!! Rsvp today! Good Afternoon Parents and Teachers! 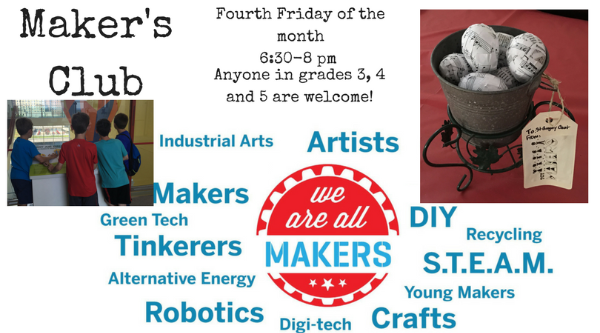 Makers Club- We are having makers club this Friday, Dec. 28th from 6:30-8pm. Remember, this is for students from third through fifth grade and an RSVP is required so I can make sure I have enough supplies. If your student would like to bring a friend they are always welcome, just include the friend in your RSVP. Please text to 860-836-6129 or reply to this email. Family New Year’s Eve Party- At Trinity we have always done something fun for New Year’s Eve. For a long time we played Laser Tag, then we had some EPIC Rock’n Bowl Competitions, Back to Laser Taging, and last year we had the Gaga Tournament of all Gaga Tournaments. This year we are hosting a Family Game night! All Families are invited! So, bring your friends, good food, and your game face! From 6-9 pm on New Year’s Eve we are going to have a Gaga Pit for those into the more active games, Giant Jenga, Twister, Crafts, Board Games, All of it! It is going to be a Blast!! And even better, it is for the whole family!! (and you can still get home and be in bed before the ball drops!!) Sign up in the Foyer to bring food for the potluck, to let us know if you are coming, and don’t forget to bring a friend! Mission Trip- The mission Trip Response Due Date is January 27th! This is the day when Youth group members commit to going on the mission trip. The deposit is also due that day. If you have more questions about the Mission to New York City with Center for Student Missions (CSM), please see Manda or John Nagy. We have gone on a trip with CSM in Boston back in 2016. Unfortunately, the CSM center in Boston has closed, so we are going to go to NYC this year. The Trip Dates are August 6-10, 2019. Like last time, we are going to be looking for at least three other adults to come on the trip. It would be extra helpful if those adults are willing to drive. We can have as many as 12 people on this trip, so talk with your kids and see if they are interested. Soulfest- If CSM doesn’t suit you we are also going to be volunteering at Soulfest. The Mylander’s have offered to let us join them at their camp site. Soulfest is July 31- Aug 4. If you are interested, please contact Manda. Copyright © 2018 Trinity Tariffville Youth and Sunday School Programs, All rights reserved. ​Holiday time is a mixture of anticipation, expectation, reflection and sorrow. For those of us who have lost loved ones it can be a time of sadness or anger or a time of melancholy. The demands of time and responsibility crowd in upon us and we lose what exactly this season is all about. This is a quiet, reflective service filled with prayers, music and healing thoughts. 12/24 Celebrate Christmas at Trinity! What are you looking for this Christmas? A time and space to help you connect with the God who loves you so. We hope you'll be there! All are welcome. Join us at 4:30pm on either Saturday, December 8 or Sunday December 9, 2018, for this beautiful music tradition to ring in the holiday season. The Trinity Episcopal Church Festival Choir will lead the service with seasonal anthems and carols. Various readers will tell the story of Christmas through scripture. The event will last about an hour. And get ready to sing! The congregation will join in singing some favorite carols. The event is FREE and open to the public. A Christmas Cookie reception will follow the event..
Family New Years Eve Party! Sunday School- DIGG Church this week! We are going to make our own Advent wreaths. Youth Group-Because of the pageant and the Marathon that is the Holiday season we are going to put a pause on Youth Group for the next couple of weeks. We are going to have a Christmas party on December 23rd from 11:30-1pm. The kids are encouraged to bring their favorite holiday treat to share. Christmas Pageant: The Christmas Pageant this year is based on the song by Casting Crowns, Christmas Offering. We will be discussing all the things we can offer to Jesus at Christmas, as only Kids can. This is going to be another wonderful Pageant that your children and friends offer to each of us. There is a practice for readers this Sunday, December 9th after church. 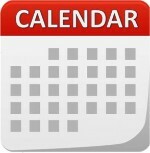 Then we will have a practice for everyone on December 15th at 9 am. Even if you can’t make the practice, all children are welcome to be a part of the Christmas Pageant!! Just show up at 9 am on Pageant day, December 16th, and we will get everyone dressed! Mission Trip- The Mission Trip for Next Summer is going to be New York City with Center for Student Mission (CSM). We have gone on a trip with CSM in Boston back in 2016. Unfortunately, the CSM center in Boston has closed, so we are going to go to NYC this year. The Trip Dates are August 6-10, 2019. Like last time, we are going to be looking for at least three other adults to come on the trip. It would be extra helpful if those adults are willing to drive. We can have as many as 12 people on this trip, so talk with your kids and see if this is something they are interested in. Soulfest- If CSM doesn’t suit you we are also going to be volunteering at Soulfest again. The Mylander’s have offered to let us join them at their camp site again. Soulfest is July 31- Aug 4. If you are interested, please contact Manda. Pageant Day- Everyone is expected to arrive by 9 am. We're excited to host neighborhood children and families for a new event - Selfies with Santa - on December 1, 2018! Guests will enjoy a pancake breakfast and some craft activities. Families will then have a visit with Santa and Mrs. Claus. Bring your phone or camera to take your own pictures to share however you want! Don't have a camera - no worries, we can also take the picture for you. Bring your kids, bring your neighbors, and come ring in the holiday season with a Selfie with Santa at Trinity Episcopal Church, in Tariffville, CT! Subscribe to our blog with the RSS Feed using Feedly, a browser plugin or in your Email Browser. Our Core Values are based on our Episcopal Faith. © 2017 Trinity Church Tariffville. All rights reserved.